Bisphenol A (BPA), a commonly occurring industrial chemical that is present in polycarbonate plastics and epoxy resins is mechanistically shown to affect various bodily functions of organisms. However, very limited studies have been done on the histological effects of BPA on bivalves. 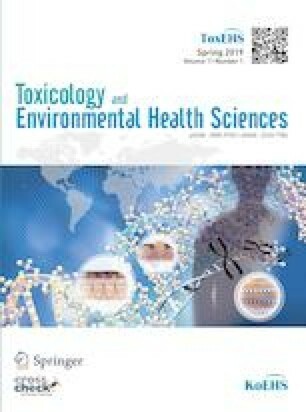 In this study, the toxicity of BPA was analyzed through its histological effects on the gills, digestive glands and adductor muscles of Corbicula fluminea, a freshwater bivalve. Forty C. fluminea were exposed to set-ups with 1 µg/L, 2 µg/L and 3 µg/L of BPA for twenty-one days. Afterwhich, histolopathological analysis were done in the adductor muscles, digestive glands and gills of the clam. Histological alterations such as vacuolations, necrosis, lamellar deformation, hyperplasia, loss of epithelium, necrosis, tubular alteration, neoplasia, hemocyte infiltration, hypertrophy and pyknosis were observed and percent histological aberrations were determined per organ. Results showed that there was a significant difference in the histological alterations observed between the tissues of exposed and unexposed clams. Moreover, varying concentrations of BPA rendered differential degree of histological damage on the soft tissues of the clam. The digestive gland was the most affected tissues followed by the gill then the adductor muscles. BPA were found to be toxic to C. fluminea as evidenced by histology. Moreover, the differential histological responses of the tissues of C. fluminea in different concentrations of BPA proves that they are good indicators of environmental stressors such as BPA. Authors are thankful to the Department of Biology, University of the Philippines Manila for providing required laboratory facilities for this work.